WARNING: This week’s spill is serious. It is something from a list of things I want to address and an incident happened online and I felt I should be writing something. This post is against bullying. I believe bullying is unacceptable. We should teach those we have an influence on to be kind and not to be bullies. At the same time, we have to teach them to grow thick skin to face the remaining bullies in this world. The world will not be bullying-free (I don’t think it will happen soon), but at least we can be prepared to face it and keep going. That’s what we get from stories from successful people who faced bullies at some point in their life. This isn’t addressed at children only. The online community (of adults) can be pretty savage sometimes. We have to learn to let it slide like water off a duck’s back than get the best of us. I think a lot of us have been bullied while growing up. I’ve been called names on several occasions. Back then, I didn’t get proper support to face such behavior. But I learned it along the way. Made me that much stronger, made my skin a little bit thicker (Thanks Xtina). I now don’t really mind what people would say about me, and I have done and would do some crazy stuff. I know myself well not to be shaken by words. And that’s what we need to equip those who are under our care with, children or siblings or friends. We might not live in an age where bullying and harassment are nonexistent, but until then, we need to teach and learn that such behavior should not be tolerated and should be confronted. While we’re at it, let’s talk about cyber bullying. A couple of weeks ago, a lot of support was given to a guy who posts popular videos with a voiceover narrating, commenting, and making fun of the video content. The guy got massively popular over the past couple of years. Recently, that guy “made fun” of someone and it felt more like bullying (by what I’ve heard). Having watched few of his previous videos, especially one where he was laughing at and calling names to a guy “feeling his oats” (enjoying his dancing self) in a club, I can say that his so-called-comedy and sense of humor is more on the bullying side. There is a difference between comedy, shade, and bullying/harassment. After a while this guy released an heartfelt apology video and it received support even from those who don’t enjoy his humor. In the video he states that the video doesn’t represent him and he doesn’t support bullying and the issue has been consuming him so he had to share this public apology. I applaud his courage for stepping up and admitting his mistake. It takes a great deal of effort to do so. But it was cringy to watch. It felt (to me at least) as authentic as watching Laura Lee’s apology or the explanation video from Elle Derby and her White Moose Cafe drama! To start with, I don’t know how these people film themselves and listen to themselves over and over in the editing process. And I don’t meant the regular videos. I mean the apology/crying videos. Second, I find these videos less genuine and more to appeal to the public conscience in a move to be accepted in the normal behavior division. Example, Logan Paul who filmed and EDITED and prepared his problematic video and had to suffer the backlash and release an apology video later on. The words said/written can’t be unheard/unwritten. The victims had to suffer with the bullying and the public humiliation, especially if it’s online. For now there is no prevention for bullying but to ask people to be kind to one another. 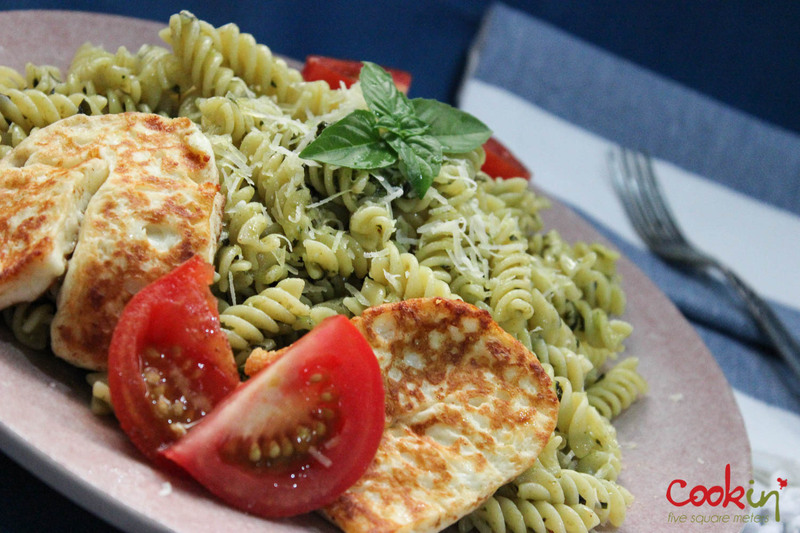 When life gives you basil, you make pesto. Then mix it with pasta. Isn’t it obvious? It’s basic. For this fresh herbs sauce, use the type of pasta you like. It is recommended though to use one with dents and irregularities for the sauce to have something to hold on to. 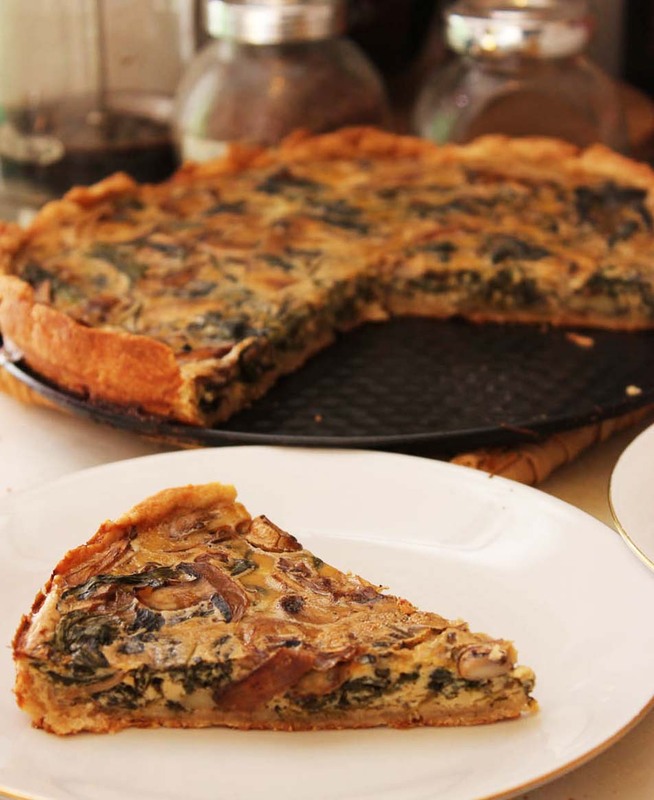 Some time ago, a new face on the blog’s comments (actually I haven’t seen her face) suggested a recipe she was making. I got excited, connected with Lara and we followed each other on twitter. 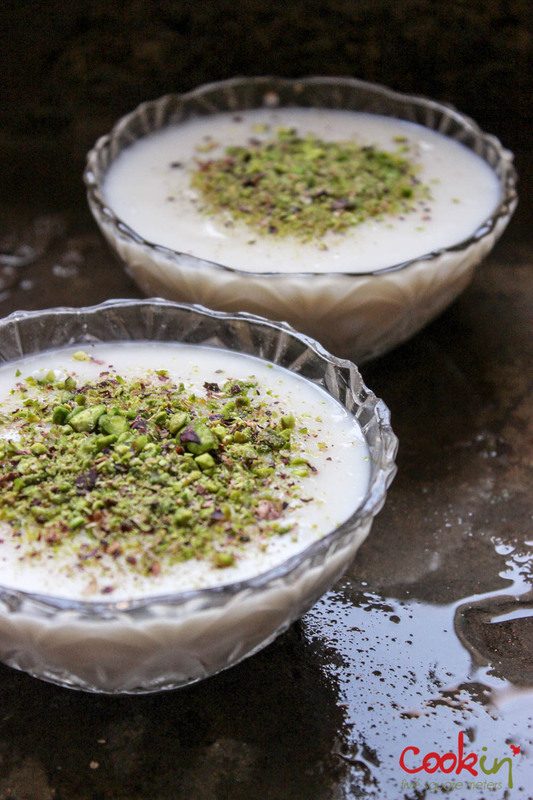 She was making a traditional milk pudding – Mhallabiyeh – flavored with rose and orange blossom water and topped with coarsely ground pistachios. I’ve been trying to get myself to write something fun about my first brunch tweet-up. I couldn’t. I tried finding nice photos of that day to share instead of the writing. The ones I took weren’t good enough.